I am Filipino. 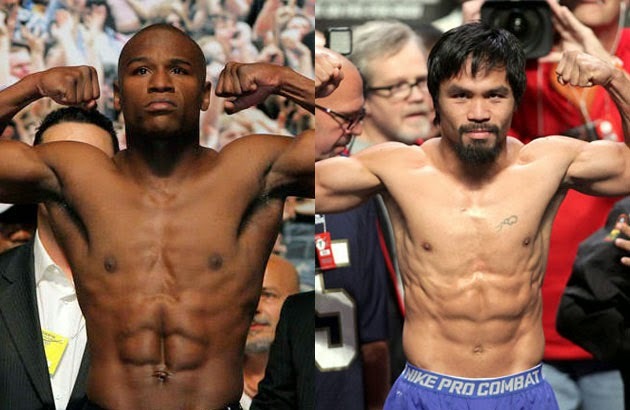 I obviously am biased in favour of Manny Pacquiao winning the boxing bout on May 2, 2015. I may not support all his decisions, especially dabbling in politics and alleged extramarital affairs, but I do believe Pacman is a great fighter with a good heart. I don't want Mayweather to win. His ego is big enough as it is now, imagine if he gets bragging rights of defeating Pacquiao. Argh! We'd never hear the end of it. Another reason though, why I wouldn't want Mayweather to win is because he has already been winning his battles with women for years. He is known to have a history of domestic violence, even serving jail time for it last 2012! He has had brush-ins with the law seven times for abuse against five different women! This guy doesn't need punching bags in the gym. He uses real live women for practice! Why would I want a man who physically abuses women to win the "Fight of the Century"? No way. I'm all for Pacquiao on this one. He's far from perfect, but between the two, he's the good guy in my book. Good luck Pacman!